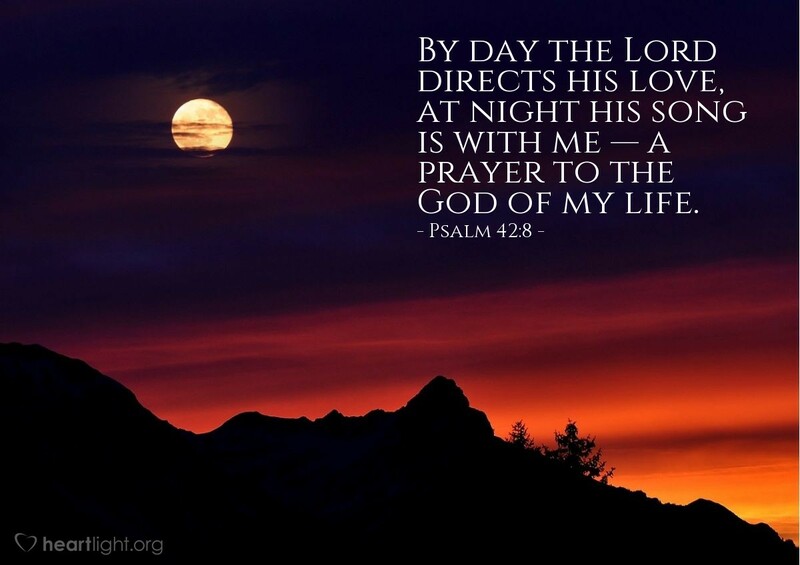 By day the Lord directs his love, at night his song is with me — a prayer to the God of my life. I have always loved music. To this day, songs help unlock the part of me that is most yielded to God. It helps me declare my love for him and my praise to him. But as the psalmist says, at night, especially on those nights when sleep is hard to come by, his song is with me. O God of my life, thank you for music and song. Thank you for giving me so many good things to sing joyfully about. Thank you for hearing my heart when I sing and not just my words and the song's melody. I long, dear Father, for the day I get to hear you sing and I join the heavenly chorus around your throne. Until then, fill my life with your song. Through Jesus' name I ask it. Amen.